Man riding around on motorized shopping cart tells shopper to keep their child quiet at Target in Vero Beach. 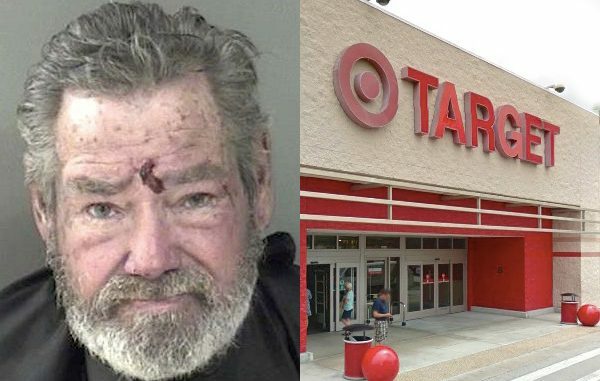 VERO BEACH – A 66-year-old man was arrested for disorderly intoxication after causing a disturbance at the Target store in Vero Beach. Dan Walter Crisovan told one of the customer’s to “curb your child” and “hush your squeaker” in front of Target employees as he drove himself on a motorized cart. As he drove away from one customer, he shouted, “she better shut that kid the f*** up,” according to the report. The store called the Indian River County Sheriff’s Office because of the way he was acting towards customers and after smelling a strong odor of alcohol coming from his person. Crisovan told deputies that he started drinking early in the morning. He said he had three beers and two shots of Black Velvet. Crisovan was trespassed from Target, arrested, and transported to the Indian River County Jail.